On January 29, 1863, the militia of the U.S. Army’s Third California Volunteers, under the command of Colonel Patrick E. Connor, rode down the frozen bluff and massacred some 350 Northwestern Shoshone Indians – the largest slaughter of Native Americans in the history of the country. Estimates of the dead are nearly double those of Wounded Knee, South Dakota, and Sand Creek, Colorado. It was a clash of two diverse cultures trying to share the same land, and the Shoshone lost. 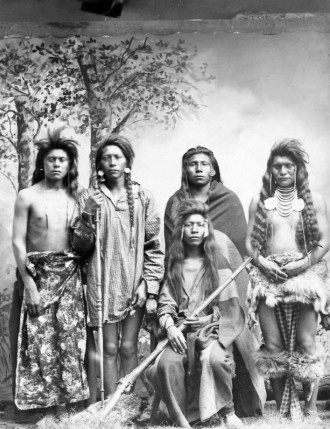 The Shoshone, comprising several bands, had close contact with the white settlers moving in the ever-growing tide of westward expansion. They found themselves in the unenviable position of being precisely where immigrants would pass on their way to the Pacific; that, combined with the critical perception people had of Native Americans at the time, resulted in a recipe for disaster. Returning from the Battle of Bear River, a painting glorifying the Anglo victory over the Shoshone. The central figure with the hat in his hand is Orrin Porter Rockwell. 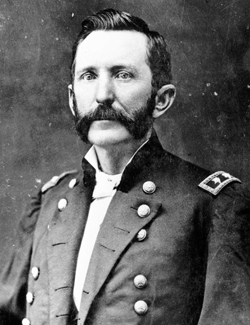 Soon after the founding of Salt Lake, Peter Skene Ogden wrote, “What will be the reward of these poor wretches in the next world I cannot pretend to say, but surely they cannot be in a more wretched state than this.” It was a commonly held notion at the time. Native Americans were viewed as poor, starving beggars who didn’t understand the concept and benefits of a Manifest Destiny, or, as Col. Patrick E. Connor believed, violent savages who needed to be destroyed at all costs. 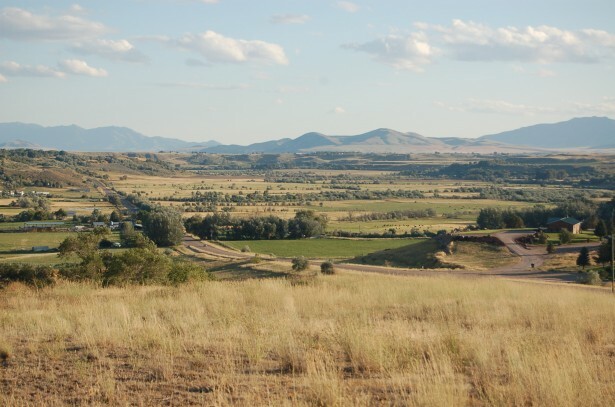 It was in this environment that Col. Connor and his California Volunteers rode toward the area of the Bear River. It was so cold that winter that merely exhaling caused men’s mustaches to freeze. 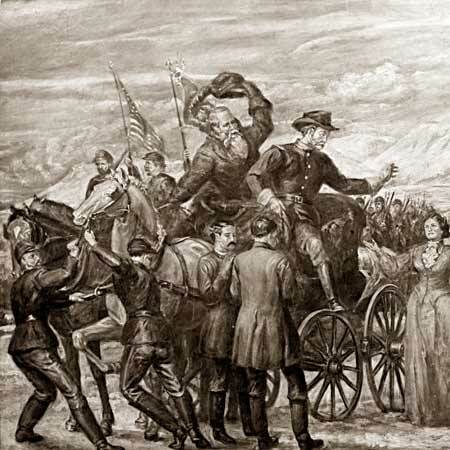 Before setting out for Bear River in southern Idaho, nearly 75 of Connor’s 275 men were left behind in Utah’s Brigham City due to frozen feet before the remainder of the regiment made the hard ride north. Along the riverbanks on the icy morning of January 29, 1863, Chief Sagwitch rose early. 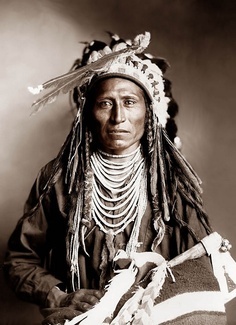 A white friend of the Shoshone had come to tell them that Col. Connor was coming to the camp to “get the guilty parties.” Chief Sagwitch had expected a visit for just that purpose and on that January morning, as he realized the steam drifting from the mountains was getting lower, he realized too that the soldiers were at last there. The encounter did not happen the way that Chief Sagwitch thought it would. The Colonel asked no questions. The regiment commenced firing, and the Indians were being “slaughtered like wild rabbits.” Seeing themselves vastly outnumbered, the Shoshone began jumping into the freezing river in an attempt to escape. No one was spared men, women nor children. There were close to 450 men, women and children in the camp that day. If Connor had arrived a few weeks earlier, during the Shoshone’s Warm Dance, the death toll could have been higher. The traditional Warm Dance, to bring back warm weather and drive out the cold, brought many bands together to play games and to socialize. Colonel Connor, who prided himself on knowing the ways of the Indian, was unaware of the Shoshone Warm Dance tradition. Throughout the battle, the wounded urged their chief to escape. After surviving two of his horses in battle, Sagwitch finally escaped on a third. 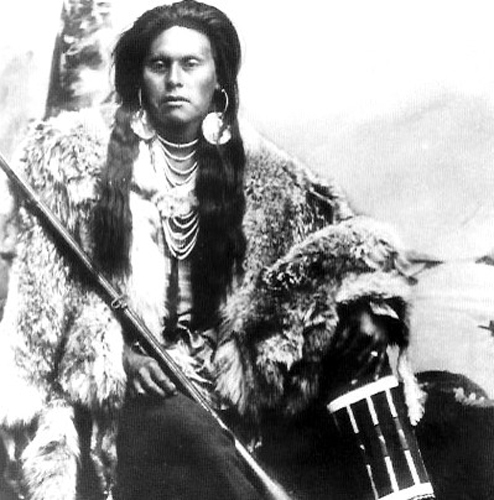 Another Shoshone escaped with him by grasping the horse’s tail as they rode across a frozen section of the river. 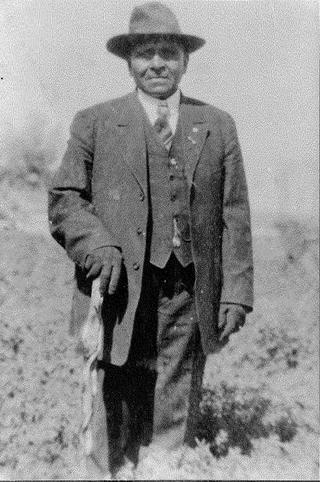 Frank Warner, also known as Beshup Timbimboo, survived the Bear River Massacre despite receiving seven bullet wounds. One incident tells of Yeager Timbimboo (or Da boo zee, meaning cottontail rabbit), who was the son of Chief Sagwitch. Only twelve years old, Yeager was caught up in the bloodshed, looking for shelter as bullets whizzed past him. He spied a grass teepee so full of people that it was actually moving. 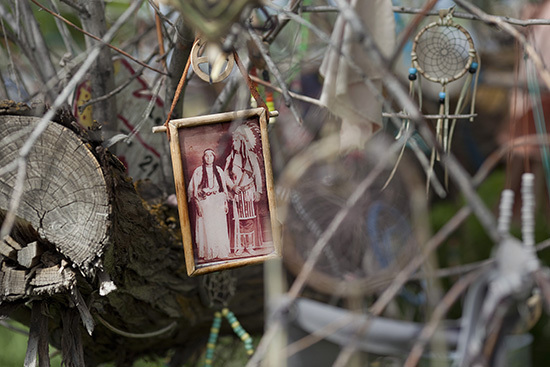 He entered the teepee and there he found his grandmother. She was afraid that soon the teepee would go up in flames, but she had a plan. She and the boy would go out among the dead and be very still, not making a sound or, as she instructed him, “not even open your eyes.” Surrounded by the dead, they remained still on the intensely cold ground all day until Yeager, whose curiosity got the best of him, raised his head and looked down the gun barrel of a soldier who saw that he was still alive. Yeager told later that the soldier raised his gun and lowered it two times while looking into his eyes. The soldier finally lowered the gun and, perhaps weary from the blood spilled there, walked away. Another of the chief’s sons escaped with a girlfriend. She rode behind him on his horse as they raced for the surrounding hills. He made it, but she died from the bullets that found their mark. 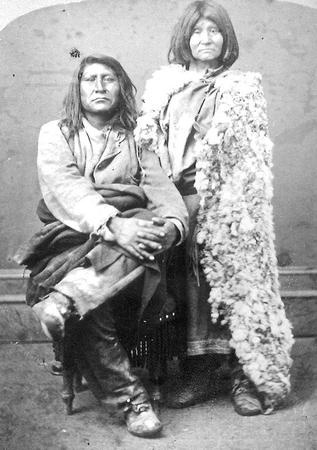 Tale after tale of that day’s intimate sorrow, rage and courage became the saddest chapters of the Northwestern Shoshone history. Scenes of desperation, the courage to survive, and the loss of the dream that they would find justice at the hands of their perpetrators also fell upon them that day.